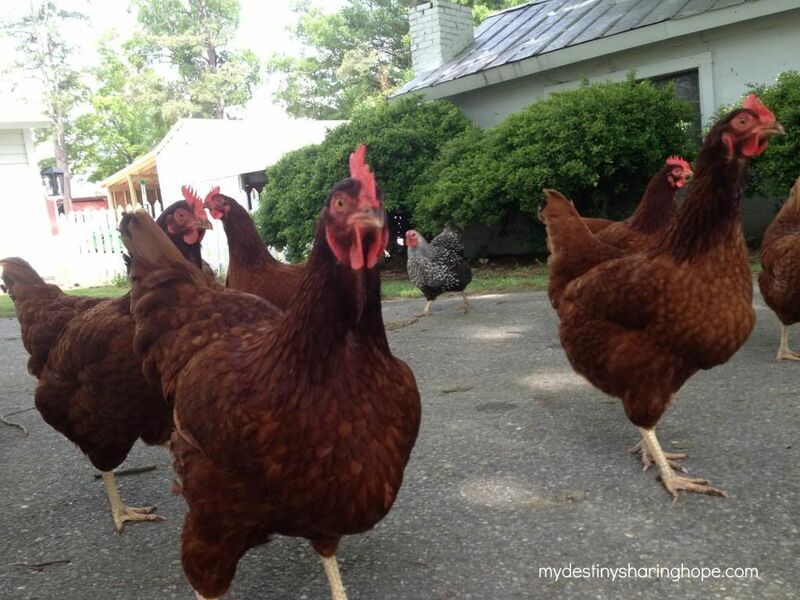 If my chickens hear my voice, they immediately come running. They know my voice over any other person. They are curious and will pester anyone they think might have a tasty morsel of food for them, but I am their favorite human. These chickens only want to have their desires met. They want FOOD, WATER, and SAFETY. And to them, I am the one who supplies all of their needs. I don’t know about you, but the excitement these silly chickens show each time they see me reminds me of my excitement for the One who provides for me! Jesus knows US and we know HIM. I love Him so much! I can’t imagine such love! For these chickens, I have taken risks in dangerous situations for them. For instance, a hawk was about to score a tasty lunch with one of my Americauna chickens and without thinking of what the hawk could do to me, I ran after it. A more recent scare was entering the chicken coop — facing down a nasty possum (scream) and THEN having to shoot it all by myself. I guess as a shepherd, I protect these hens. But how do they know my voice? What makes them distinguish my voice from others? It is the daily relationship I have with them. Each morning I let them out, I give them food, water, and gather their eggs. They hear me say goodnight to them as I lock them up each night. They KNOW me. Jesus said we know His voice. Once we give our lives to Jesus, do we immediately know His voice? No. It takes time to nurture our relationship with Him. The more we spend time in God’s Word and spend time in prayer (and listening for His voice), the better we will recognize His voice when He speaks to us. 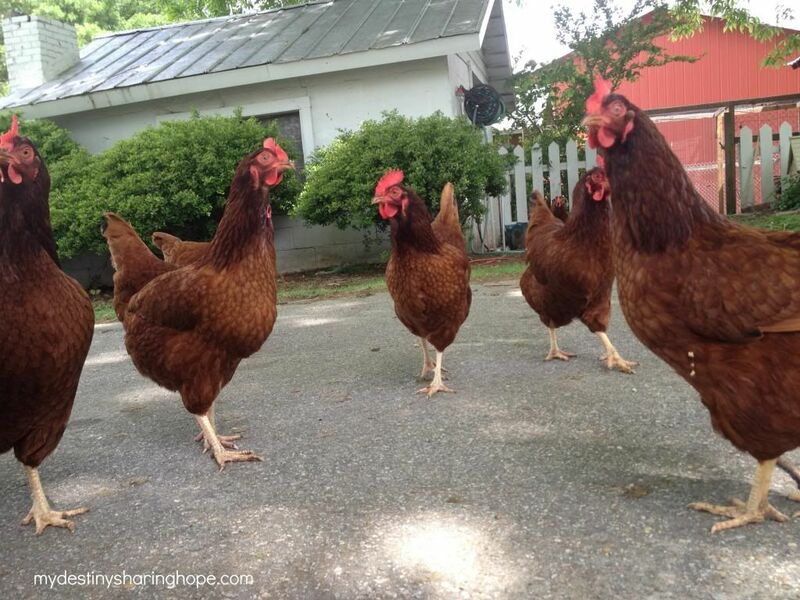 We need to be more like these chickens! If you look at the photo below, each eye is on me — waiting to see what I will do. In turn, we need to have our eyes set on the Father and follow His direction. I hope this will encourage you to spend some time with your Good Shepherd today! Each of us need to recognize His voice. He loves you so much and is waiting to spend some quality time with you!